Having been bitten by the travel bug, travel, learning, and evolving has become my focus in life. Growing into the positive, balanced, grounded and happy woman I want to become is my main goal. Finding a balance between life, work and what I want to achieve is my ongoing mission. Since what you project into the universe attracts the very same, I am writing about my journey and sharing my experiences so that we can learn, grow and evolve as a community… And maybe, just maybe, one day, we can all be happy, balanced, whole and grounded beings. You said it so well, and I agree completely. Also, I love your image—a study in blue. Thank you so much Jennifer! That means a lot, I enjoy writing and I hope to break my way into the writing world too, so coming from you that means a lot! 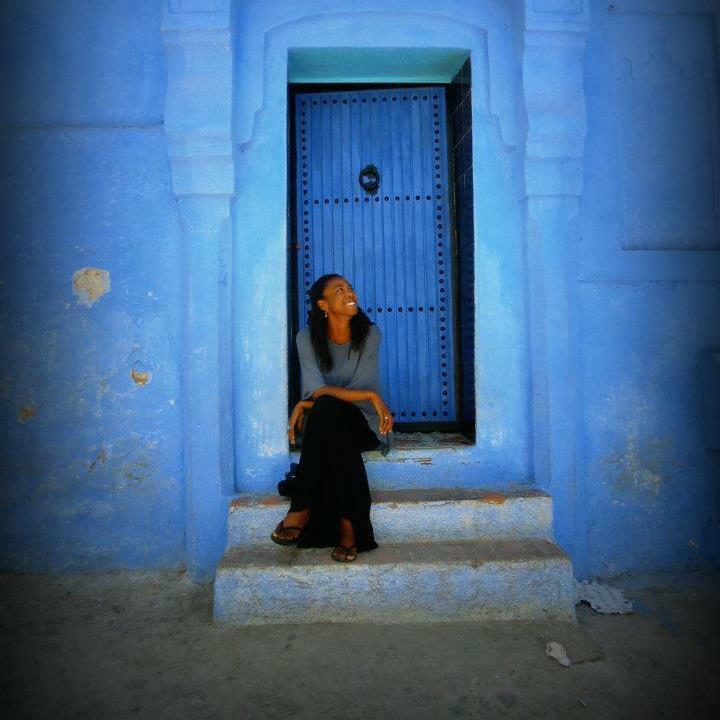 The image was shot on a weekend trip to Chefchaouen in Morocco, the whole town is painted blue! It makes for a very relaxed and calm vibe there. I was incredibly happy to be there!